Governor Ibikunle Amosun of Ogun State. Just as the heat is on in Lagos State, three critical factors have been observed as possible determinants of how the gubernatorial election in Ogun State would play out. Choosing a successor to the incumbent, Senator Ibikunle Amosun, in the 2019 poll is proving phenomenal due to these factors. In the first place, the issue of which zone between Ogun West and Ogun East, that would produce the next governor is key. Since the state was created about 42 years ago, Ogun West, which has relatively the smallest population and least voting strength, remains the only area yet to produce a governor. 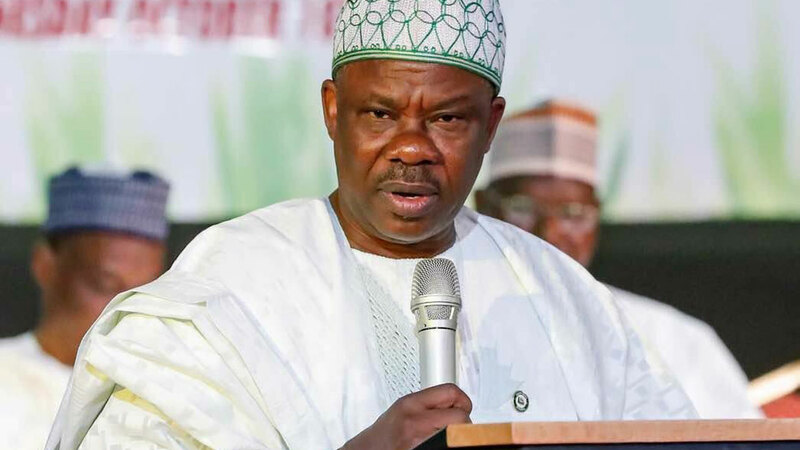 But, while insisting that it is its turn to produce Amosun’s successor, irrespective of the political platform in the coming poll, Ogun East argues that since the incumbent is using the slot supposedly meant for the latter, it cannot take the responsibility for its failure to harmonise in the 2011 election, which eventually paved the way for Amosun, from Ogun central to emerge as governor. The Ogun East zone is also contending that if at all the zoning principle would be introduced as a yardstick to produce the next governor, it must be on the basis of Ogun Central and Ogun East. The zone pegged its argument on the fact that the Egba mainly and Egbado are spread across Ogun Central and East and therefore cannot be treated separately in the current political calculation. In 1979, the late Chief Bisi Onabanjo from Ijebu, Ogun East, emerged on the platform of the defunct Unity Party of Nigeria (UPN) and served for four years after which the military took over in 1983. And during the aborted Third Republic of 1993, Chief Segun Osoba, a politician of Egba extraction from Ogun Central, emerged governor on the platform of the Social Democratic Party (SDP) in 1991. He was also subsequently elected on the platform of Alliance For Democracy (AD) in the Fourth Republic in 1999. Osoba was however defeated by Otunba Gbenga Daniel (OGD), an indigene of Shagamu, Ogun East in the 2003 election. Daniel spent two terms in office on the platform of the Peoples Democratic Party (PDP), but he was unable to install his preferred candidate from Ogun west at the expiration of his tenure in 2011. It is held that one of the reasons OGD couldn’t install his successor in 2011 was due to the infighting among the political stakeholders of Ogun West, which eventually paved the way for Amosun to triumph. 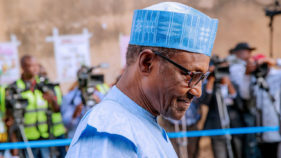 In the build-up to next year’s election, the two major political parties, APC and PDP, are already facing the challenge of where to pick their governorship candidates, even with the election less than six months away. On assumption of office in 2011, Amosun pledged that, for fairness and equity, he would ensure that an indigene of Ogun West, which had never produced a governor, succeeds him. In a bid to fulfill his promise, Amosun had announced Mr. Abiodun Akinlade, a current member of the House of Representatives, as his preferred candidate among the 10 Yewa indigenes aspiring for the governorship seat. But a jumble of reactions has since trailed the governor’s judgment on the grounds that the decision was not just undemocratic but also unacceptable. Some APC stalwarts, including Senator Gbenga Kaka, Jimi Lawal, Dapo Abiodun and Prince Segun Adesegun, have condemned the zoning arrangement, especially Amosun’s endorsement of a particular aspirant, saying, it is unacceptable to them. Likening the scenario in Ogun to what Nigeria is currently experiencing, he said: “In the case of Nigeria, South and Northern divisions are clear. If the presidency is zoned to the North it absolutely comes back to the South after eight years. Not that after the North Central it will go to North West or North East before coming to the South. On his part, Kaka said the zoning arrangement does not represent true democracy and is contradictory to the party’s directives for direct primary. Yet, another APC governorship aspirant, Dapo Abiodun faulted Amosun’s endorsement of Akinlade. Therefore, if Akinlade eventually emerges as APC’s standard-bearer in 2019, he would need to rely on the party’s structure and massive support from Ogun central to defeat whosoever the PDP might field for the election. 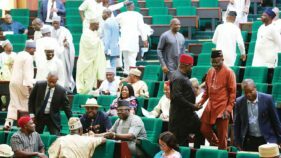 But currently, some politicians said the only aspirant of the PDP capable of defeating whoever the ruling party presents is a member of House of Representatives representing Remo federal constituency, Oladipupo Adebutu. Adebutu recently said the decision of the ruling party to stick to Ogun West senatorial district to pick its gubernatorial candidate, instead of Ogun East, would ultimately lead to APC’s likely defeat next year. He equally cited the alleged concentration of capital projects by the incumbent in Abeokuta at the expense of other zones in the state, would also contribute to APC’s disadvantage at the 2019 poll. It should be noted that since the lawmaker representing Lagos West, Senator Olamilakan Solomon Adeola quit further participation in the guber race, the possibility of Ogun west producing the governor thinned out. Prior to Adeola’s exit from the race, he appeared to be the only aspirant with financial gravitas to contend with the incumbent for the APC governorship ticket. However, Amosun did not only detest him, because on many occasions the governor vowed that a foreigner would not succeed him in allusion to Adeola, but also saw him as a threat to his succession plan. Adeola’s exit has however given Ogun East better chances of clinching the ticket on both APC and PDP platforms. The Adams Oshiomhole-led National Working Committee (NWC) of the APC recently directived all states to adopt direct primary as the mode of selecting candidates for the next general election. But Ogun is among the states that are peeved at the order. One of the reasons adduced by Amosun’s camp against direct primary was said to be his plan to choose who succeeds him, which the Oshiomhole initiative could hinder. Another probable reason the idea of direct primary does not sound very pleasant to Amosun has to do with his declared intention to run for senate in 2019, a position currently occupied by Senator Lanre Tejuoso. Going by constitutional provisions, Amosun’s eight years tenure expires next year. Tejuoso is among the lawmakers that defected to the PDP, only to rescind his decision a day after. As such, except the leadership of APC intervenes to save the situation, Amosun’s decision to contest the Ogun Central senatorial seat ticket might create a fresh crisis for the party during the governorship poll. Some Ogun APC stakeholders are already drawing the attention of the party’s leadership to the fact that except Amosun rescinds his decision to return to the Senate, whichever candidate he endorses would not receive the votes of Ogun Central. On the other hand, if Ogun APC ends up choosing its candidate through consensus, Amosun who, at present has a total grip of the party’s structure in the state, would capture the ticket. But, it is not clear as at now whether the party would settle for direct primary or indirect, that is by consensus. Similarly, the campaign organisation of another aspirant, Dapo Abiodun, in a statement, insisted that most of the aspirants were not invited to the said meeting, insisting that any decision taken there is not binding on them. In the statement, the Organisation’s Media Director, Emmanuel Ojo, urged the party members to prepare for direct primary. So far, former Speaker of the House of Representatives, Hon. Dimeji Bankole, is the only one from Ogun Central that is aspiring to contest the governorship seat, even though the incumbent, Amosun, hails from the same zone. The PDP, though the strongest opposition party in the state appears not ready for a serious contest against other parties in the coming elections, because protracted internal crisis has torn it apart. Already, the PDP’s national leadership has announced the expulsion of the major financier of the party, Senator Buruji Kashamu, whose faction is recognised by the Independent National Electoral Commission (INEC) based on court ruling. However, Kashamu is still insisting that his expulsion was illegal and therefore null and void. Even at that, there are two factional PDP executives, including that of Senator Kashamu, led by Dayo Bayo and Ladi Adebutu’s, led by Sekirulai Ogundele. Adebutu and Kashamu, as at now are the only known governorship candidates. Unless PDP resolves the internal crisis and come together soonest, the party might not make any serious impact in the forthcoming elections. At present, Prince Gboyega Nasir Isiaka is the sole governorship aspirant on the platform of the African Democratic Congress (ADC) and is believed to be an anointed candidate of former President Olusegun Obasanjo. Besides, an APC, governorship aspirant, Owodunni Opayemi, has said that the primary election should be left open for the best candidate to emerge. Opayemi, who hails from Ikene, Ogun East believes that what Ogun needs now is someone that understands what it requires to develop it and align it with the kind of growth being witnessed in Lagos State.